The Newcastle University North Leadership Centre is sad to announce the death of Alan Sergison. 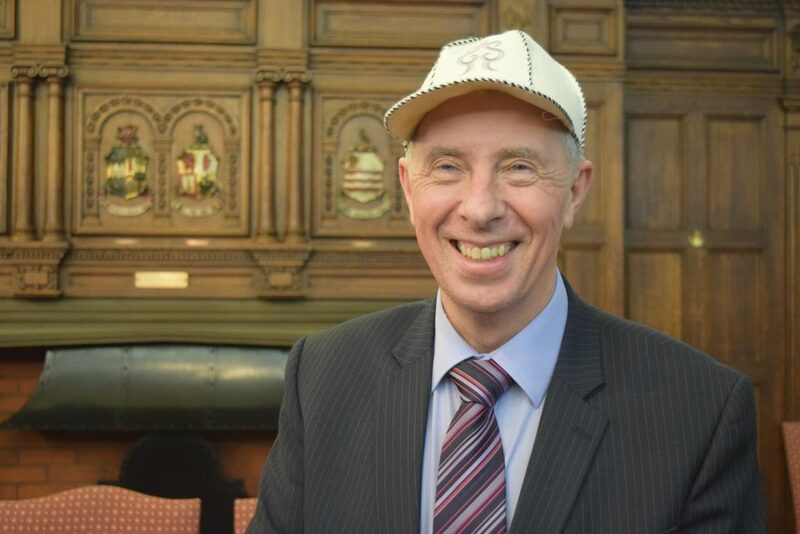 Prior to his appointment as Education Inspector for the Gateshead local authority from 2000 to 2010, Alan dedicated his professional life to primary education and was the headteacher of a large inner city primary school for 15 years. He worked as Advisory headteacher and after his retirement set up his own educational consultancy business. During his headship, he trained as a facilitator for the National Professional Qualification for Headship (NPQH) in 1998 and was actively involved inshaping the various iterations of the National Professional Qualifications over the last two decades. His wealth of experience as headteacher, School Improvement Partner, Ofsted Inspector and in supporting schools in difficult circumstances as well as his dedication to pass on his knowledge and skills led to his involvement in a number of international school leadership programmes through the Newcastle University North Leadership Centre, including leadership development programmes for educational leaders from Kazakhstan and Vietnam. Alan’s personable nature encouraged delegates to open up and reflect critically on their own situation. Through skilled questioning and stories from his own experience, he skilfully helped generations of educational leaders to come up with their own solutions. His contribution to the Centre will be greatly missed by all of us. At this sad time our thoughts are with his wife, family and the many people his inspirational nature has touched in the course of his personal and professional life. 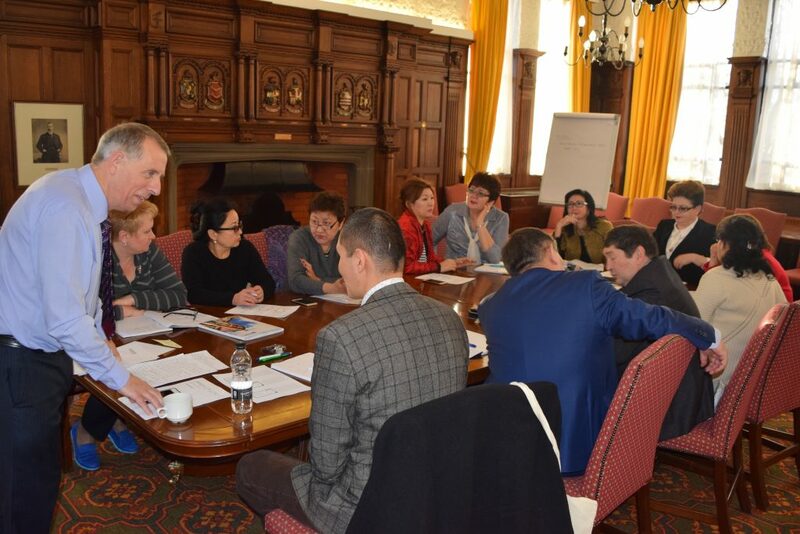 Twenty Bachelor students from Taraz State Pedagogical University, Kazakhstan developed their understanding of concepts such as ‘leadership’ and ‘management’ as part of an international seminar series in the second week of November. 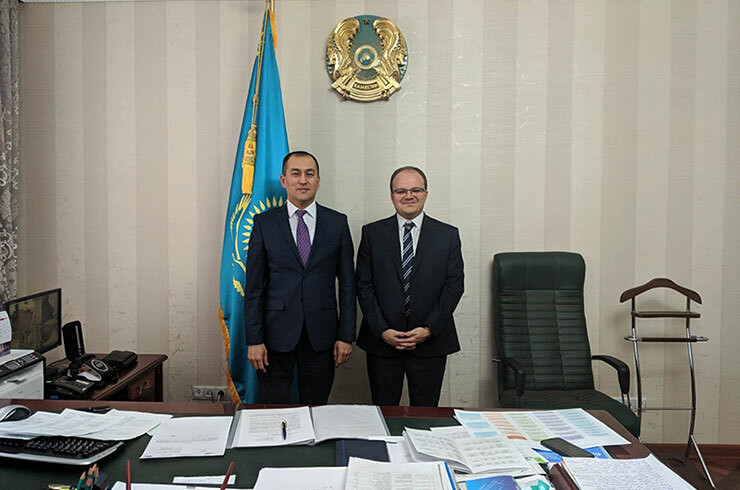 The students worked with the executive director of the Newcastle University North Leadership Centre (NUNLC), René Koglbauer, who has taken up a Visiting Professorship in Kazakhstan during winter semester 2018. 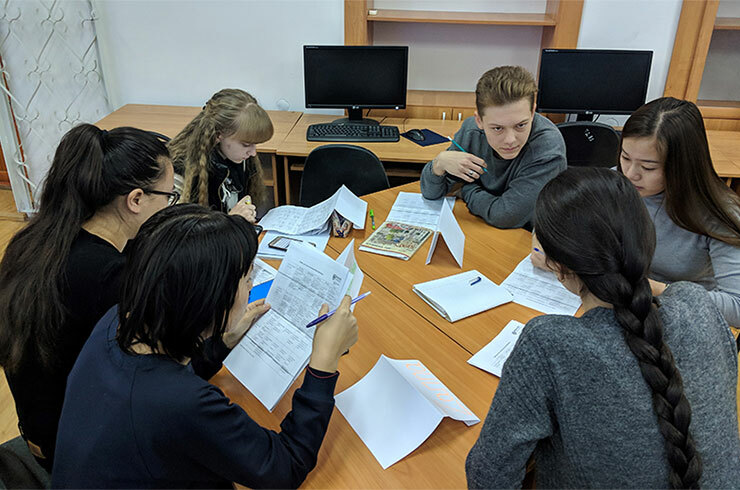 At the beginning of the programme, the students reflected on the differences between the English and the Kazakhstani school systems and were surprised that there was no British school system as the four nations (England, Northern Ireland, Scotland and Wales) had their own systems. The students were then also encouraged to reflect on their own leadership and management skills starting out with a discussion about their values. Whilst none of them can yet imagine that they would ever lead a school, a few students recognised early on that they had leadership skills and tend to adopt the role of a leader when working in teams. 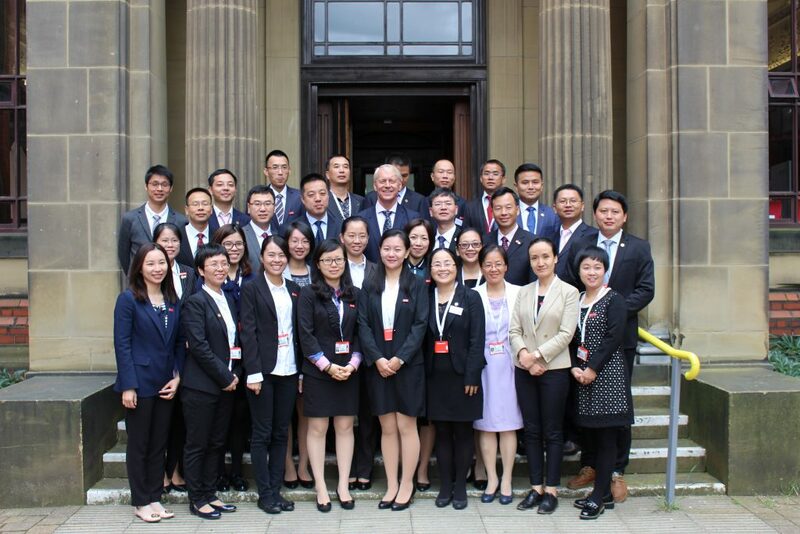 Building on our successful bespoke programme delivered in 2016, The North Leadership Centre (NLC) and Newcastle University International Office have recently completed the delivery of a complex programme for 30 administrative staff from Xiamen University. The programme was titled Xiamen University Administrative Staff Development Programme, and the delegation was headed by Kevin Zhong. 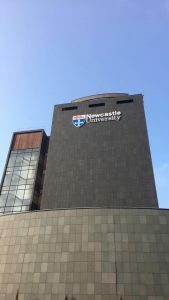 The aims of the programme were to get an overview of how Newcastle University functions, as well as to develop English language and leadership skills. Dr Xenia Xu of the International Office and Francis Barber of the North Leadership Centre collaborated to ensure the programme’s success, and teams from both departments supported the provision of this programme. Delivery was also supported by a team of final-year student interpreters from the School of Modern Languages. The delegates undertook a two-week English Language programme through the North Leadership Centre, supported by CELTA-qualified staff Eleanor Gordon and Mark Pearson from NLC, and Ilaria Spiga and Rob Thompson. 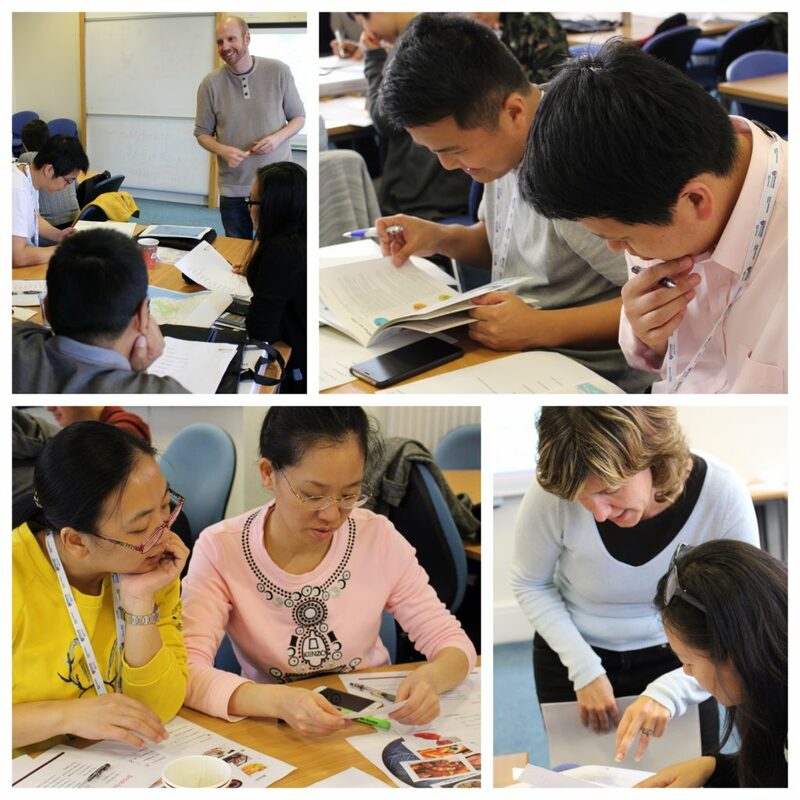 As well as language, this aspect of the programme covered UK culture and focused on speaking and practical English. The programme incorporated cultural excursions for the delegates including visits to local places of interest and trips further afield. 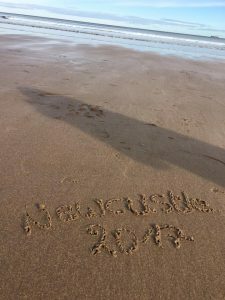 The delegates were also able to explore Newcastle and the rest of the UK. Delegates participated in a five-day programme in leadership with Dr Anna Reid of the North Leadership Centre, which covered a range of themes including trust, collaboration and communication. 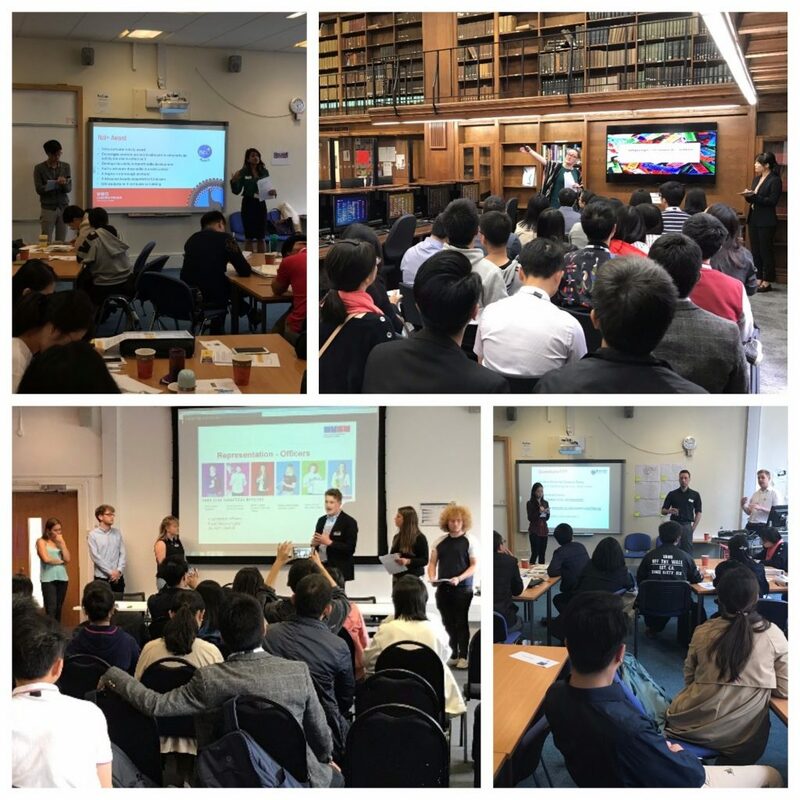 The programme included visits to a wide range of university departments, and our thanks go to those departments for their willingness to participate and the quality of input that they delivered for the delegates. Keynote presentations were given by Vice-Chancellor Professor Chris Day, Registrar Dr John Hogan, Pro-Vice-Chancellor (Engagement & Internationalisation) Professor Richard Davies, and René Koglbauer, Director of the North Leadership Centre. 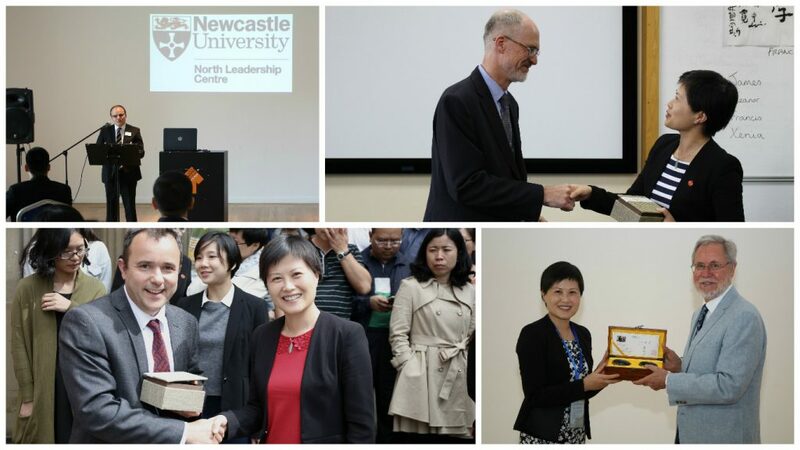 During the formal welcome and closing speeches, keynote speakers from both Newcastle and Xiamen Universities emphasised the value and importance that both institutions place on the continuation of this highly successful partnership. 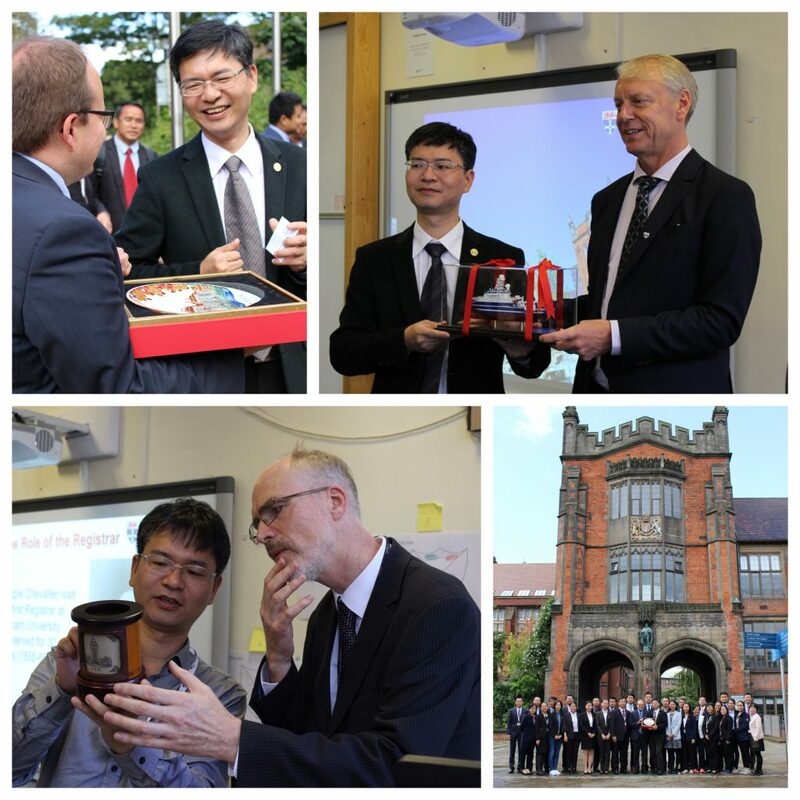 Clockwise from top left; Kevin Zhong with René Koglbauer, Professor Chris Day, the full delegation and Dr John Hogan. We all look forward to further future successes of this partnership, and hope to be able to welcome more delegates from Xiamen University in future. 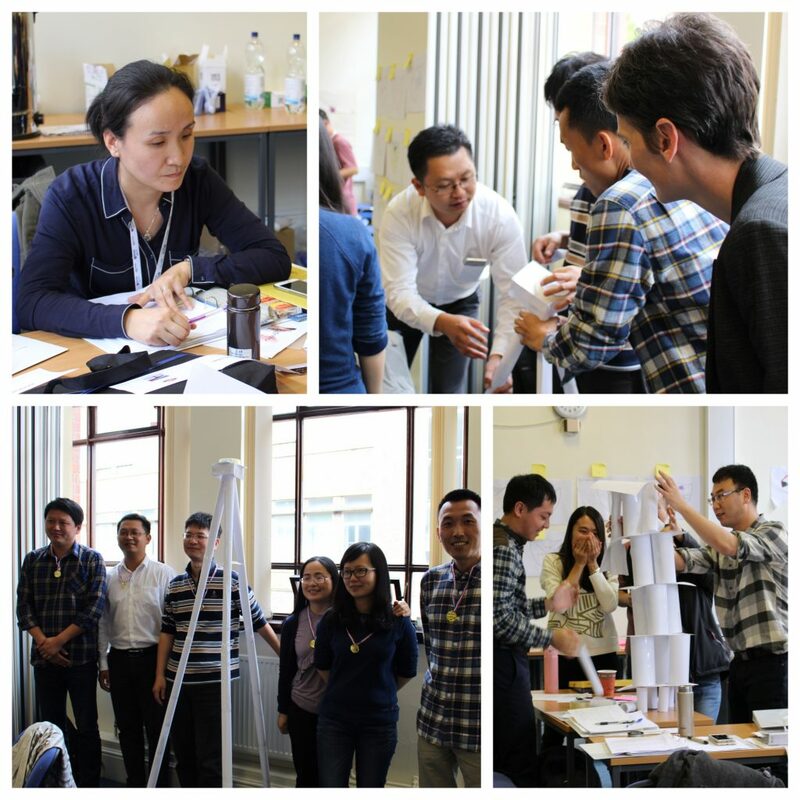 Building on our successful bespoke programme delivered in 2016, The North Leadership Centre (NLC) and Newcastle University International Office have recently completed the delivery of a complex programme for 29 student counsellors from Xiamen University. 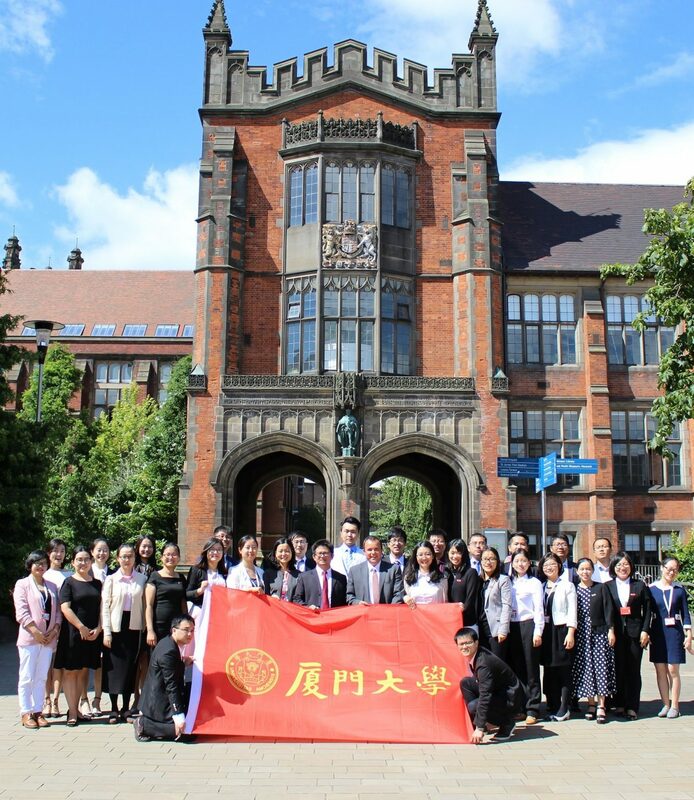 The programme was titled Xiamen University Counsellors Development Programme, and the delegation was headed by Jason Wang. 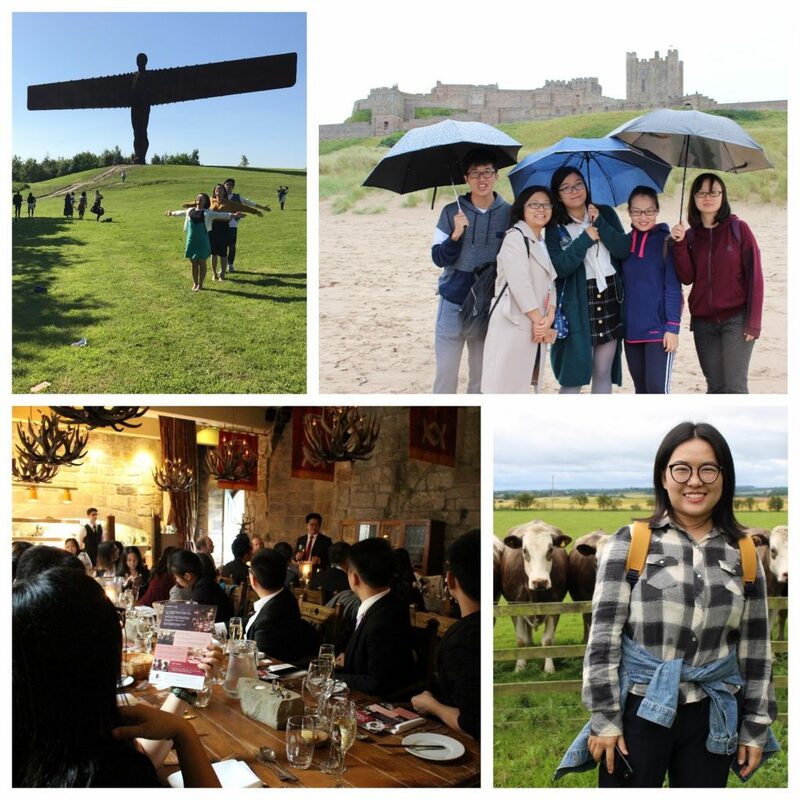 The aims of the programme were to get an overview of how Newcastle University functions, as well as to develop English language and leadership skills. 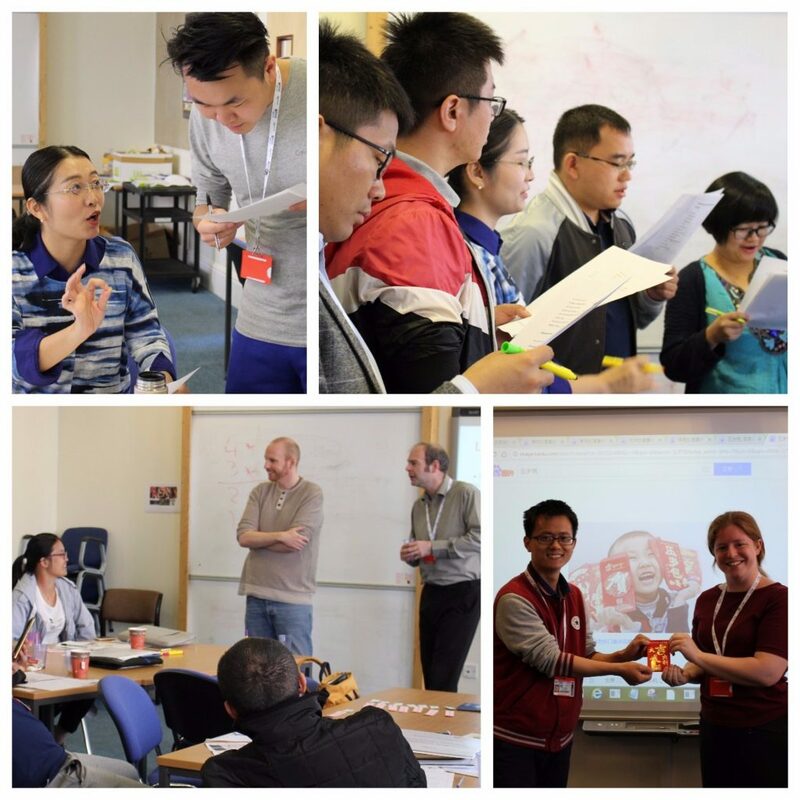 The delegates undertook a two-week English Language programme through the North Leadership Centre, supported by CELTA-qualified staff Fancis Barber, Eleanor Gordon and Mark Pearson from NLC, and Rob Thompson. 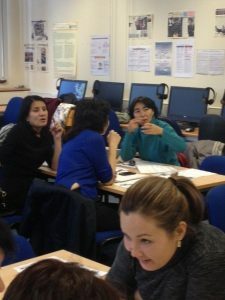 As well as language, this aspect of the programme covered UK culture and focused on speaking and practical English. 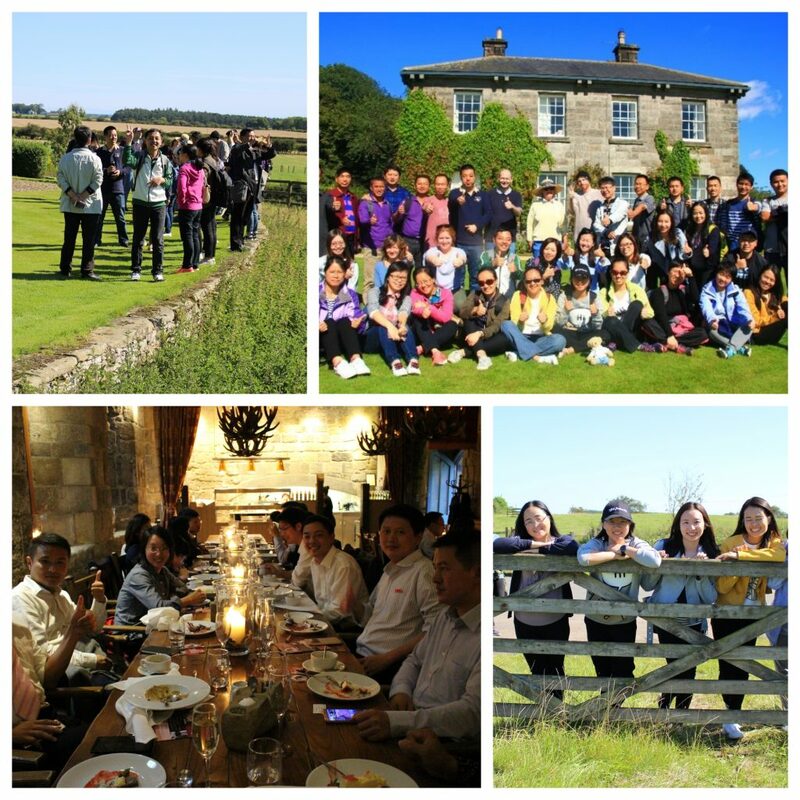 The programme incorporated cultural excursions for the delegates including visits to local places of interest such as the Angel of the North, and trips further afield to Northumberland to experience the English countryside. The delegates were also able to explore Newcastle and the rest of the UK. Delegates participated in a five-day programme in leadership with Dr Anna Reid of the North Leadership Centre, which covered a range of themes including systems and processes and collaboration. We all look forward to welcoming the next set of delegates next week for the Administrators programme, and to future successes of this partnership. From 13/02/2017-09/06/2017 we participated in the Erasmus Programme, hosting a student from Belgium for a work placement. She has written a blog post about her experiences which we have reproduced below. 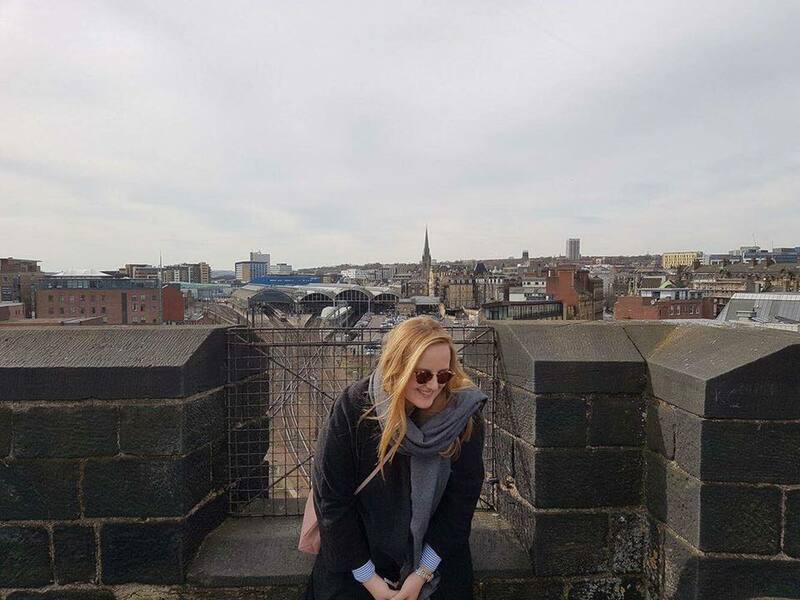 I am Victoria Schiettecatte a third year marketing student at the Odisee school in Belgium (Brussels). I did an internship for four months at the North Leadership Centre (NLC). Since my first year I knew I wanted to go on Erasmus, and I’m not disappointed at all. At the end of June 2016 the school announced I would go to Newcastle upon Tyne. I was ready to go anywhere and I was so happy with my destination. I really wanted to improve my English and to gain some experience in the marketing world. In January I got the email saying I would do my internship at the NLC. I knew this would be a good environment to improve my English. I arrived on Saturday the 11th of February and loved this city immediately. My accommodation was near to the quayside, an amazing place. On Monday the 13th February I started my internship at the NLC. It was difficult for me to understand everything in English and also how NLC worked. It was important for me to understand what the NLC does. After some weeks working on marketing and reading a lot about NLC I understood what they do and my English had also improved. It got easier to work on my projects. I worked on many different things and learned so much. When I arrived, NLC had to do a bid for their NETSP (North East Teaching School Partnership) programmes. There were some marketing bids I worked on, they were part of the marketing plan and strategy for NETSP. After the bid was sent it was time to apply the marketing strategy. The website and the brochure needed an update. So I learned to work with different programmes such as Adobe Indesign, Adobe Photoshop, Adobe Dreamweaver. With the help of Eleanor and all my colleagues we were able to create a new brochure and website for NETSP. This project gave me an insight of what I wanted to do after this year. I want to do digital marketing studies in Belgium. I also did some data analysis for different projects. I really like to work with figures and worked on some analyses. As I learned to work with Adobe programmes I also worked on the NLC website and wrote a social media plan and strategy. This project was my last project at NLC and I really enjoyed it. I believe I worked in an office were hard work and humour is the key to success. Colleagues were very friendly and received me well. I am so thankful for my internship at NLC. There were 5 other students from my school doing an Erasmus exchange in Newcastle so we decided to visit each other’s workplaces. It was interesting to see what kind of work others had done during those four months. During my exchange I had the opportunity to discover some places. 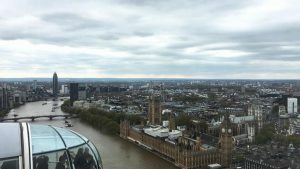 I went to London for a long weekend. I had already visited London but now I enjoyed some walking and museums, not like the busy school trip I had done before. 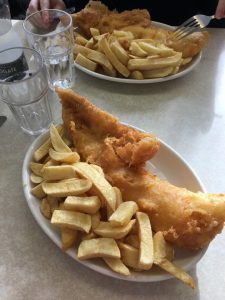 In Newcastle I visited the BALTIC and most of the things around the quayside, Newcastle castle, Angel of the North, The Biscuit Factory, Tynemouth, and many, many more. You can’t be bored here! 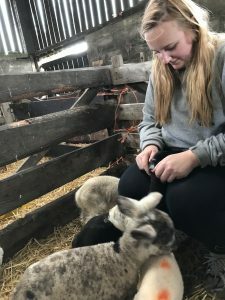 We also had the opportunity to go to a farm close to Berwick upon Tweed and learned about the lambing period and helped a bit. An unforgettable experience. My mom came for a weekend and rented a car so we enjoyed a road trip in Scotland. First we went to Durham where I wanted to visit the cathedral. Unfortunately the cathedral was closed as they were filming the new Avengers movie. 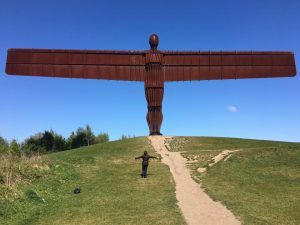 After our stop in Durham, we went to the Angel of the North on our way up to Scotland and we also went to Alnwick castle. It is an amazing castle which also has a garden to visit, really nice. As we had to be in Aberdeen in the evening we had to leave quickly and had a long drive passing by Edinburgh. The view from the bridge we crossed was amazing. The next day we visited Balmoral as my mom loves everything about royal families. We also went to the sea, there were cliffs with a lot of birds. It was so beautiful. For the end of our trip we decided to go to Glasgow on our way back to Newcastle and also stopped by the Irish Sea. I knew we would be near Hadrian’s Wall and I really wanted to see Sycamore Gap. After searching for it we were able to find it and see it from the road with an amazing sunset and we went back to Newcastle. Newcastle upon Tyne is an amazing place and people are very nice. It is a very young and dynamic city and would recommend anyone to study or do an internship here. On 20th March 2017 our first cohort of successful Siemens Leadership Programme participants were presented with their Chartered Management Institute Level 3 certificates. Our congratulations go to all of those participants who completed their qualification successfully. The event was held at Siemens, and certificates were presented by our director René Koglbauer. This bespoke programme for Siemens was developed with and facilitated by Rebecca Armstrong. The programme was designed to lead participants to their Level 3 CMI qualification. We look forward to continuing our work with Siemens and wish our current participants well for their upcoming assessments. 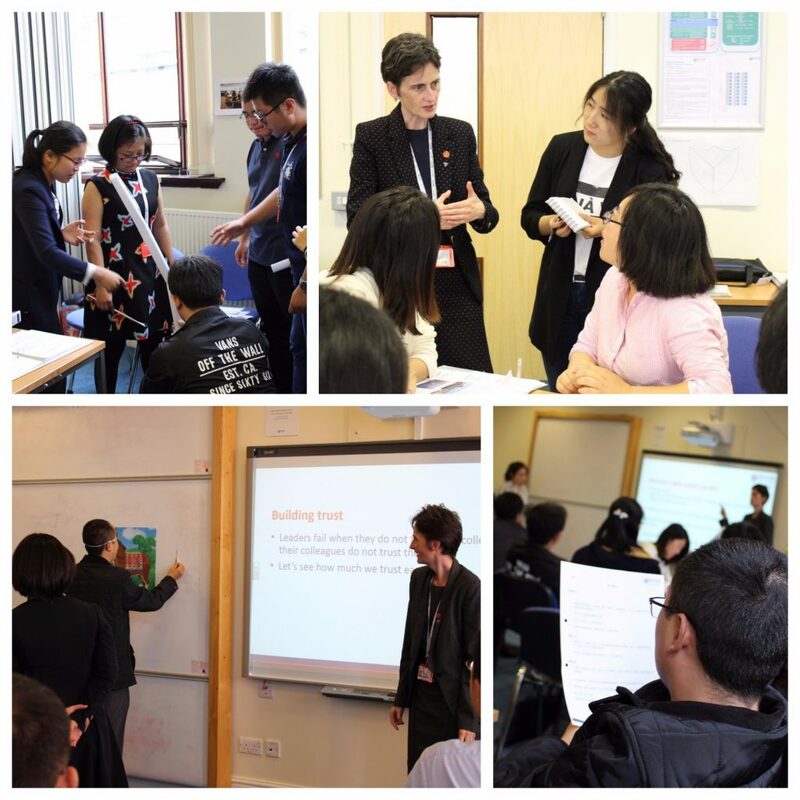 The blog below was written by our visitors from Kazakhstan who undertook the Learning and Teaching in Higher Education programme with us from 9th-17th November this year. 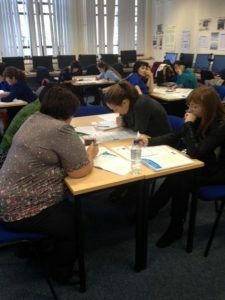 They wrote this blog collaboratively in their Writing Skills for Academics session, assisted by Dr Rachel Lofthouse and Dr Anna Reid. The original post can be found on the Newcastle University Education Blog. 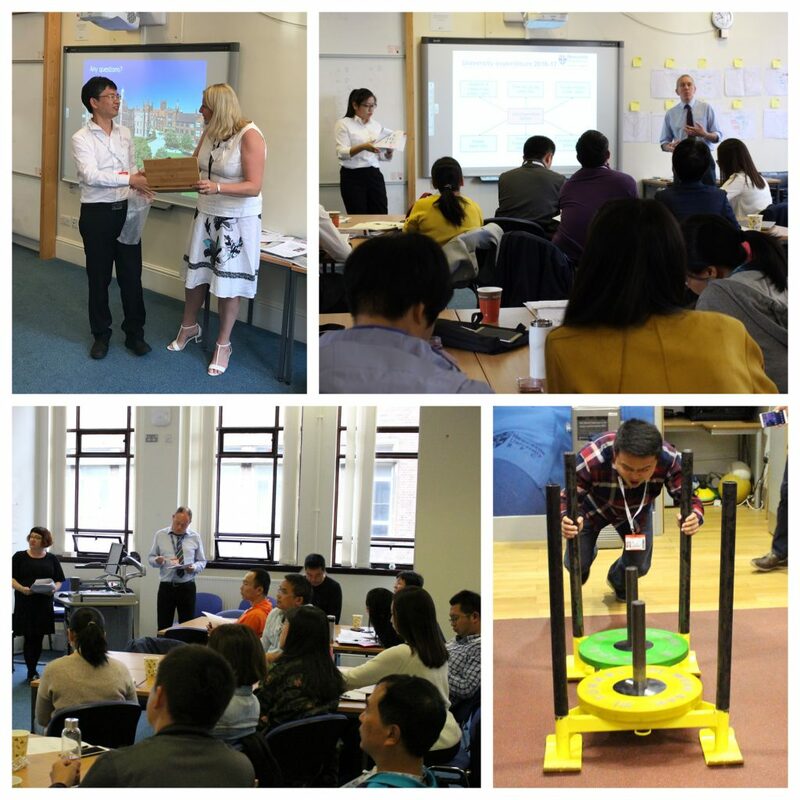 During November 2016 a fifth cohort of academic colleagues from universities across Kazakhstan took part in the Learning and Teaching in Higher Education programme at Newcastle University. The programme was hosted and facilitated by staff from ECLS and managed through the North Leadership Centre. 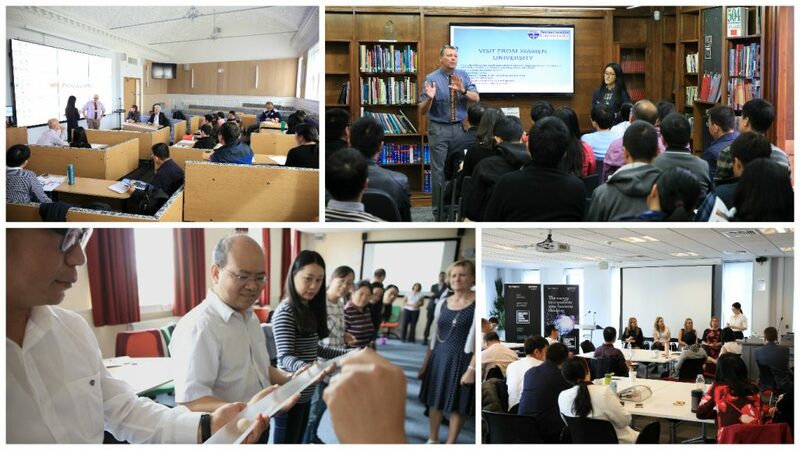 Our visitors had a busy schedule of taught sessions and workshops during which they were offered insights in to a wide range of academic practices. 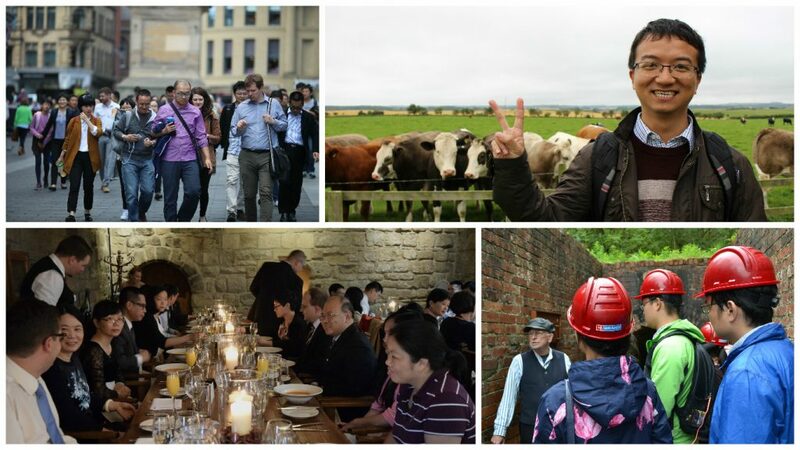 At the same time the visitors experienced British life – both in Newcastle and further afield. We asked them to reflect on why they were here. What were they hoping to learn more about? Why did this matter to them? What first impressions did they have? We see Education as a constantly developing, renewing process, though our basis is in Kazakhstan a traditional one. Teaching and learning in different countries can have similarities and differences at the same time. In order to develop and to improve education teachers share their experience. the similarity of the ways of teaching. Almost all the teachers use such methods as group work, role play, communicative approach, non-verbal communication and others. As far as the differences are concerned in Kazakhstan we still have a traditional system of education. We consider that learning styles of students in our country differ from British ones (independent work of students, project work). In addition, communication is more formal than in Britain. Even writing a blog is unusual for us. However, changing our experiences is a significant way to develop and to improve the process education. The North Leadership Centre at Newcastle University’s School of Education, Communication and Language Sciences ‘Learning and Teaching in Higher Education’ (LTHE) programme is an essential thing for us, those who are in teaching. We have had a very great experience here, and would like to emphasize the following aspects which we want to improve and study more. Firstly, co-teaching and academic culture impressed us and it would be nice to use it in our practical work at home. The second thing that made us think about was a different view on working in small groups. Can we ask you a question: How long did the process of improving group work take you? And what are the criteria of assessment of group work? We are underway, but still have some difficulties with organizing it during workshops and lecturing. Thirdly, unfortunately, we haven’t got accustomed to feedback, it’s challenging but, it would be appropriate to use this practice in all levels. In a global world education becomes international as well. Students from developing countries should be a part of a global community and able to study online. In order to promote this idea, we need IT services support and updated curriculums. In Kazakhstan we are on the way of this process. For example we have distance teaching and learning as well as newly updated masters programs including disciplines to be studied online. Innovative technologies let students participate in global e-conferences, blogs, forums and different on-line courses. All these contemporary opportunities let students gain optional education, support long-life learning and self-development for future carrier. The LTHE programme is helping us as teachers to be trained to get practical skills on e-learning and innovative technologies in order to deliver them at the domestic universities to improve the situation locally and help students to gain the necessary skills. Following on from the LTHE programme we propose the following ways of learning from and through collaboration to support and promote teachers’ and students’ professional, educational and cultural development. Collaboration gives both as for teachers and students a splendid opportunity to grow and improve themselves and their endeavour. After such global collaboration they become specialists who can work successfully not only in own country but also abroad. We have recently run a collaborative project with Culture Bridge North East. 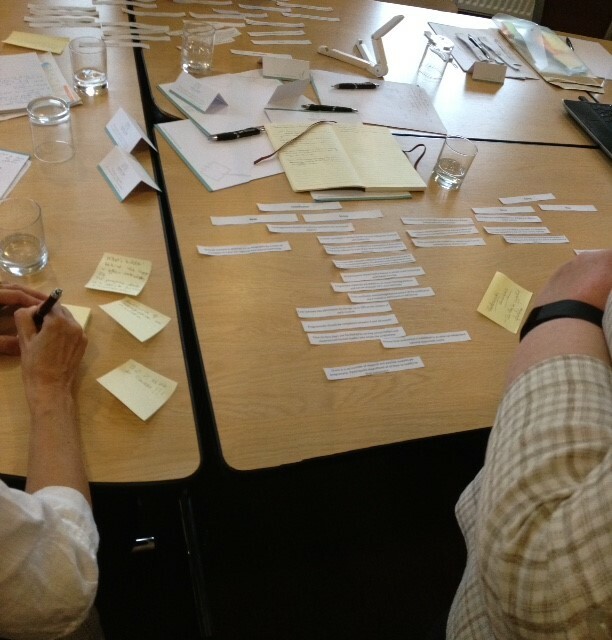 This programme was attended by school leaders, and explored cultural leadership in a school setting. 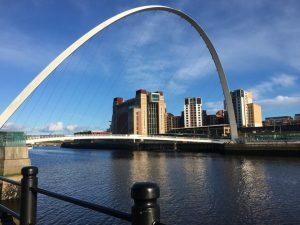 The event was held at the Baltic Centre for Contemporary Art, and Emma Thomas, Head of Learning and Engagement, has written in more detail about the programme on the Culture Bridge North East blog. If you wish to be added to the waiting list for this programme, please visit our website for further details. 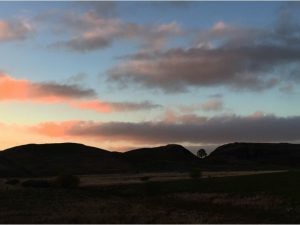 I was tempted to begin this blog post with a witty anagram of BERA and BELMAS, the two conferences I attended this summer but it is with some degree of embarrassment that I have given up with nothing to show for my efforts. BERA stands for the British Educational Research Association. According to their website , it is a ‘membership association and learned society committed to working for the public good by sustaining a strong and high quality educational research community, dedicated to advancing knowledge of education’. BELMAS is also concerned with the field of education but this society focuses on aspects of and issues concerning leadership, management and administration. I have been trying for some time to identify ways of applying the methodological and analytical approaches, which I used in my doctoral work, to contexts of educational leadership in line with my roles and responsibilities within the North Leadership Centre. My doctoral work was a study of teachers’ developing understanding of enquiry based learning. It primarily concerned concepts of identity and agency in relation to curriculum innovation and formative assessment. My current position within the North Leadership Centre allows me to work with serving school leaders on aspects of their personal and professional development including identity and agency. How can Bernstein’s (1996) concepts of ‘classification’ and ‘framing’ be used to explore the development of programmes for school leaders in the North East of England? This workshop addressed the theme of the 2016 BELMAS conference by challenging a shift in government oversight of education from compliance to performance (Ball, 2000) with a more ‘humanist’ approach to professional leadership development. It offered tasks aimed at identifying underlying issues which enable or discourage leadership curriculum innovation. The discussion considered whether incorporating the development of ‘weak’ social structures in new leadership development programmes can help to address key priorities in improving the leadership and management of schools in the current Education sector. Our dialogical selves: developing an analytical framework for exploring practitioner identity and agency. This workshop introduced the concept of the ‘dialogical self’ (Hermans, 2001a; Hermans, 2001b) and invited participants to engage with a developing analytical framework for exploring themes of identity and agency. It offered practical tasks aimed at uncovering underlying issues which enable or discourage practitioners to ‘act’ within their particular contexts. The discussion considered whether the analytical framework I employed as part of my doctoral work can help to address key priorities in developing practice in the current Education sector. Both workshops were designed to foster dialogue and encourage critical reflection in order to seek out whether my ideas for future work would stand up to the rigour and expectations of the academic community. For the first time at these conferences, I felt like I was beginning to find my feet as an academic, capable of holding my own in discussions with others for whom I have a very high regard. That other academics were prepared to share their experiences and expertise with me was a huge boost to my confidence. That they encouraged me to continue with my approaches will be the motivating factor moving forwards. Moving forwards, then, I have committed to preparing and submitting an article for a special issue of ‘Management in Education’ later this year. When I reflect upon my experiences at both BELMAS and BERA, I now realise that I engaged in the conferences as a personal and professional learning opportunities, where, by providing stimuli for discussion, the responses of academic colleagues helped me to move forwards with my own my thinking and doing. Ironically, I feel I am undergoing a shift in identity myself, which is compelling me to engage further and with greater self-belief. Bernstein, B. (1996) Pedagogy, symbolic control and identity. Maryland: Rowman and Little Publishers, Inc.
Hermans, H,. (2001a) ‘The dialogical self: Toward a theory of personal and cultural positioning’, Culture & Psychology, 7(3), pp.243-281. Hermans, H. (2001b) ‘The construction of a Personal Position Repertoire: Method and practice’, Culture & Psychology, 7(3), pp.323-365. Reid, A. (2016) ‘Aspiring leaders understanding their ‘selves’ and/in social contexts’ Accessed on 16 August 2016. Reid, A. (2015) ‘An opportunity for change’. Accessed on 16 August 2016. 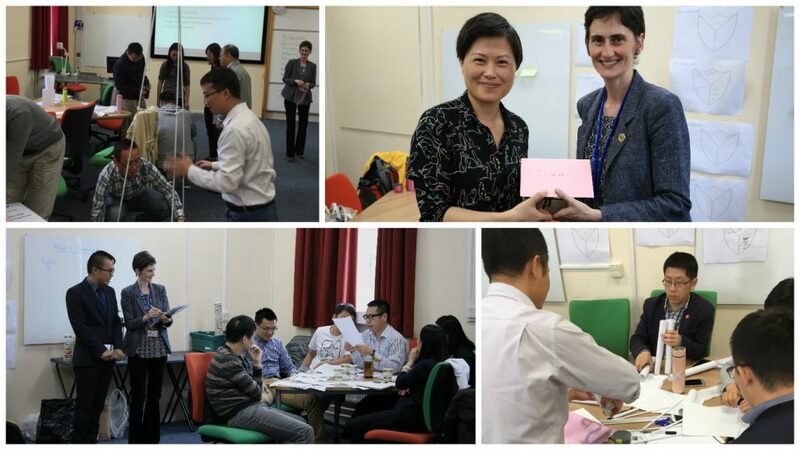 The North Leadership Centre and International Relations have recently completed the delivery of a complex programme for 27 administrative staff from Xiamen University. The programme was titled Xiamen University Administrative Staff Development Programme, and the delegation was headed by Lisa Yu. The aims of the programme were to get an overview of how the university functions, as well as to develop English and leadership skills. 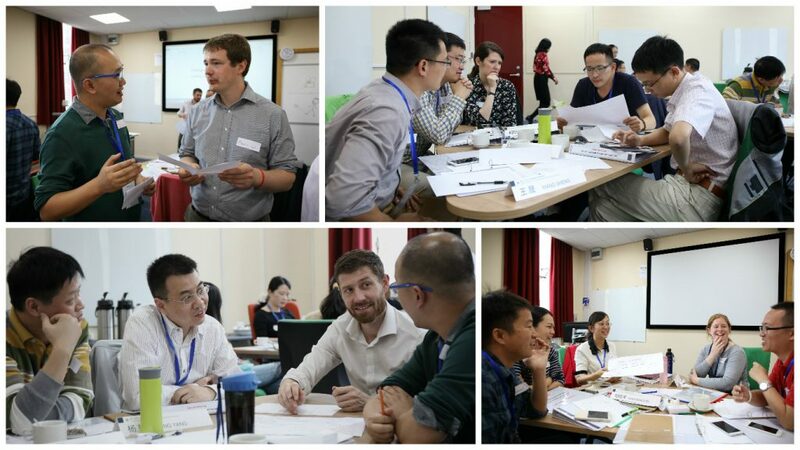 Xenia Xu of International Relations and Francis Barber of the North Leadership Centre collaborated to ensure the programme’s success, and teams from both departments supported the provision of this programme. Delivery also supported by a team of final-year student interpreters from the School of Modern Languages. Department Visits to (clockwise from top left) INTO at Newcastle University, Languages Resource Centre, Business School, Staff Development Unit. The delegates undertook a two-week English Language programme through the School of Education, Communication and Language Sciences. The also participated in a five-day programme in Leadership delivered by Dr Anna Reid of the North Leadership Centre. Leadership with Dr Anna Reid. Keynote presentations were given by Vice-Chancellor Professor Chris Brink, Registrar Dr John Hogan, Pro-Vice-Chancellor (Engagement & Internationalisation) Professor Richard Davies, and René Koglbauer, Director of the North Leadership Centre. 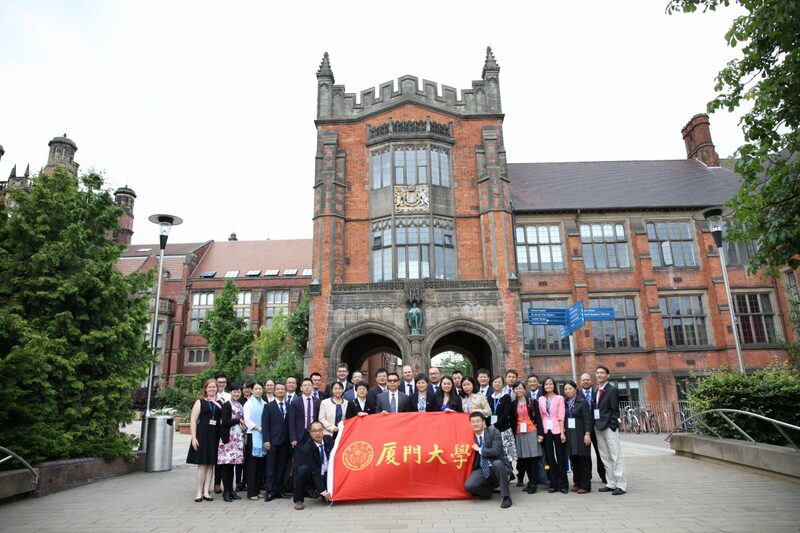 During the formal welcome and closing speeches, keynote speakers from both Newcastle and Xiamen Universities emphasised the value and importance that both institutions place on the continuation of this highly successful partnership. Clockwise from top left; René Koglbauer (NLC), Lisa Yu with John Hogan, Vice-Chancellor Professor Chris Brink and Pro-Vice-Chancellor (Engagement and Internationalisation) Professor Richard Davies. 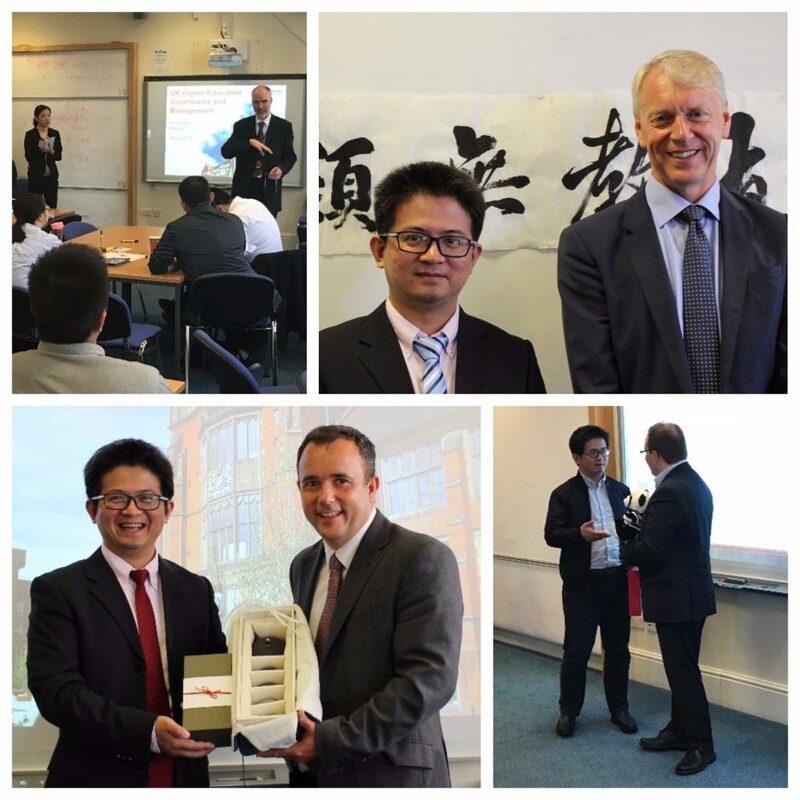 We all look forward to the future successes of this partnership, and hope to be able to welcome many more delegates from Xiamen University in future. For more information, visit our website, email us or give us a call on 0191 208 8455.